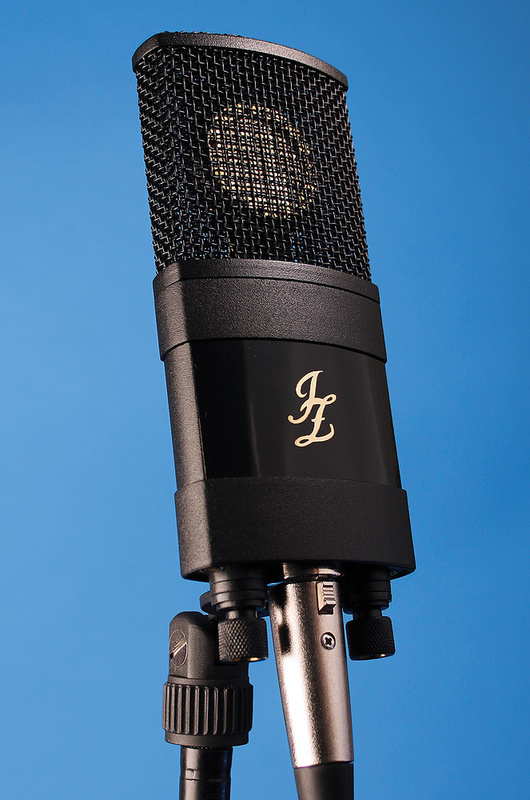 The new Vintage 11 from Latvian company JZ Microphones is not a 'reborn' classic, nor is it an off‑the‑wall design like their Black Hole, which we reviewed back in 2008 (/sos/dec08/articles/jzblackhole.htm). Rather, it is designer Juris Zarins' attempt to create a new microphone that he believes deserves classic status alongside more familiar names. The number 11 comes from the year 2011, when this model was created, but despite their lofty claims, the Vintage 11 has a selling price of just $699 — admittedly, not a budget mic, but then certainly not what you'd expect to pay for a high‑end studio mic either. The flattened shape of the mic body and the gold JZ logo, combined with the glossy black‑paint finish, is oddly reminiscent of something you might find on the shelves of a cosmetics store, but there's no denying that the mic is very nicely put together: its weight and standard of finish inspire confidence. Apparently, the body of the Vintage 11 is made using both aluminium and plastic, with a two‑layer, brass‑mesh grille similar to that used for the Black Hole microphone. The capsule sits atop a post to keep it well away from the body metalwork. There is logic to the wide, flat basket design, which has only one vertical support in the cardioid capsule's rear 'dead zone'. The lack of vertical supports at the front and sides minimises reflections, which means that the basket has only a negligible effect on the capsule's performance. Technically, this large‑diaphragm cardioid condenser microphone is distinguished by exceptionally low self-noise (6.5dB, A‑weighted) and a 20Hz to 20kHz frequency response. Its dual‑backplate capsule is six microns thick, is edge terminated, and has a diameter of 27mm. The onboard, transformerless electronics manage a sensitivity of 22 mV/Pa (1kHz into 1kΩ), and a maximum SPL, for 0.5 percent THD, of 134dB. This equates to a dynamic range of 128dB. Standard phantom power at 48 Volts is required for operation. There's little information on the capsule itself, other than to say that it evolved from the company's GDC67 capsule, and uses their 'Gold Drop' sputtering technique to apply the diaphragm coating but, again, there are no specific details of what this process entails. Gold‑plated pins are used in the output XLR connector to minimise problems due to corrosion or oxidisation, and there are two further threaded holes in the base to accept the included stand mount, which has its pins mounted via rubber buffers to offer a degree of resilience. There are no pad or filter switches on the mic. Typical frequency response without proximity effect: the HF roll-off above 15kHz and boost around 90Hz contribute to a smooth, warm sound. The proximity effect would further reinforce the bass end. I set up my usual array of instrument and spoken‑word tests, but on my first playback the output of the Vintage 11 appeared to be in opposite polarity to the AT4050 mic I was using as a comparative reference. Was it a wrongly wired cable, was there a problem with my AT mic, or was the JZ the culprit? Switching the Vintage 11 for a different mic showed that the two signals were now in phase, so I have to conclude that the review Vintage 11 was wired opposite to the norm. My spoken‑word vocal test revealed the Vintage 11 to have a smoother mid range and more pronounced lows than the AT4050, though both mics would benefit from some LF roll‑off when used up close. There was no obvious character to the sound other than the bass lift, which could easily be dealt with if it wasn't needed, so the overall result was pretty natural and non‑fatiguing, with no barking or honking in the upper mid‑range. Both mics fared well on hand percussion and on acoustic guitar, with the Vintage 11 again sounding a little smoother than the AT4050, especially on the latter. I've always rated the AT4050 as a good guitar‑amp mic — something that can't be said of all large‑diaphragm condenser mics. First up, with a raunchy and gritty overdrive sound, both mics captured the raw edge and attitude of the sound, with the Vintage 11 being a little more polite about the highs than the AT. Dropping the gain back to cleanish blues, both mics again scored highly, with the JZ sounding the smoother of the two. The AT4050 doesn't have a completely flat frequency response, of course. Few large-diaphragm capacitor mics do. However, it is nominally flat to 6 or 7 kHz within a dB or so, with a fairly modest 4dB presence peak centred at around 10kHz. Because of this, you'd expect the AT4050 to have a very slightly more pronounced high end, which is reflected in our audio examples. To sum up, I think JZ have managed to give the Vintage 11 a classic character without making it sound exactly like anything else that has gone before, though whether it is indeed destined to join the revered classics, only time will tell. What I can say is that you get a seriously good microphone for the asking price, presented in a mercifully small, foam‑lined wooden case along with the stand mount. Because the mic doesn't have any obvious tonal traits other than the bass bump, it is more likely to suit a range of voice types than a mic with a very obvious tonal flavour. The AKG C214 and Neumann TLM102 are similarly priced cardioid condensers, although the former has both filter and pad switches, which the JZ lacks. The Wedge by Violet Design and Sontronics' Saturn are both cardioid mics with distinctive looks that cost about the same as the Vintage 11. No pad or low‑cut switches, but at the price, that's not a deal‑breaker. The V11 is a versatile mic that delivers a high-quality sound, albeit with that built‑in bass bump that may need taming in some applications. For me, its smooth upper‑mids, lack of obvious coloration and low noise are its strongest attributes. 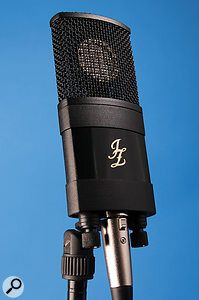 JZ Microphones +37 167 246 648.